The universal programmable waterproof led driver provide IP67 waterproof degree options and a wide range of outdoor application. Which offer maximum flexibility with customized operating settings and intelligent control options. So one outdoor waterprooof lighting led driver can be programmed for many different luminaire designs. LDP-320R062 model street light led driver provides multiple protection for SCP, OVP and OTP. Complied with CCC/CE/CB/ENEC/SAA/BIS/UL safety regulations. Ambient temperature: -40℃ ~ +60℃. LED street / tunnel lighting, industrial lighting, flood lighting, grow lights, stadium lighting, etc. MOSO has set several distributors in Europe, United States, Latin America, Asia and Australia. All MOSO outdoor led driver provide 5 years global warranty. In case of any failure, customers can get replacement either from MOSO directly or any one of MOSO distributors. 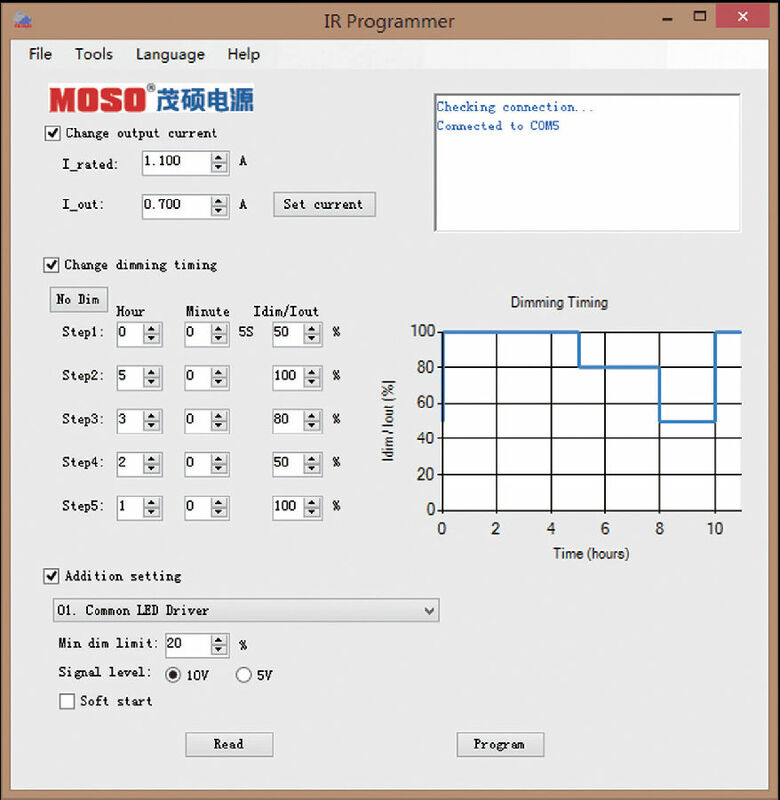 MOSO Power Technology Co., Ltd. ("MOSO Power Supply", stock code: 002660) is a national high-tech enterprise. It is a global advanced power solution provider and a symbolic enterprise in the domestic power industry. It is also a well-known brand in Shenzhen. Guangdong famous trademark enterprise. The company was selected into the Top 500 Chinese Brands in 2017 and was elected as "Top Ten Influential Brands in 2017". Since its establishment in 2006, after several years of rapid development, the company has been recognized by many Fortune 500 companies and formed strategic partnerships with them. Moso Power's product development, manufacturing, sales and service have been established in the United States, Japan, South Korea, Singapore, Europe, Hong Kong, Taiwan and other countries or regions with branches or offices, able to provide customers at home and abroad with rapid professional service. Excellent talents, advanced technology, scientific management, and pragmatic and enterprising entrepreneurial spirit enable MOSO Power to continue to be in the leading position in the industry and is the true core competitiveness of MOSO Power. Since its establishment, MOSO has comprehensively expanded its new energy and Internet fields based on the premise of developing its main business and continuing to operate steadily. The company focuses on the following aspects: Switching Power Supply, LED intelligent drive, FPC, photovoltaic inverter, smart charging pile, new energy photovoltaic power station investment, new energy vehicle charging operation, investment mergers and acquisitions. Actively cultivate new profit growth points through extensional development, establish an Internet+-based incubation base, and build a national third-party testing center with an investment of more than 30 million yuan. By combining technology and Internet applications, it will provide users with high efficiency. , intelligent, and secure product and system solutions. 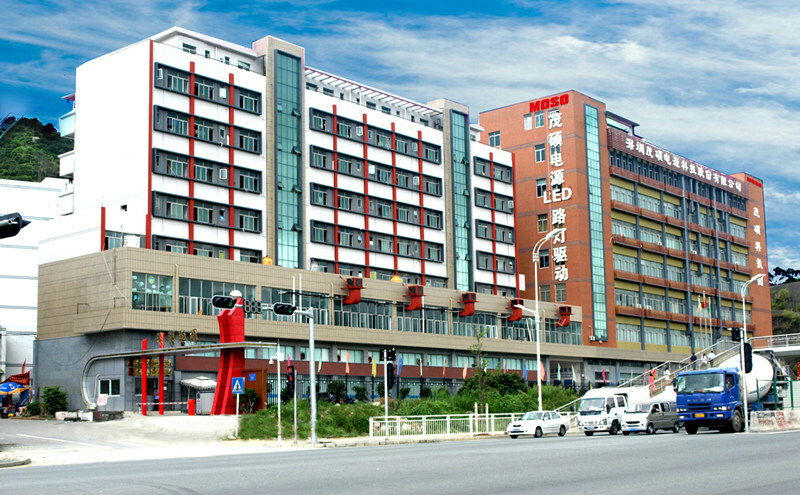 After ten years of rapid development, MOSO has always adhered to the environmental concept of "green innovation, high efficiency and energy saving". The industry has gradually extended to mobile energy storage, wireless charging, intelligent hardware, and increased investment in new energy applications. Standing on the cusp of the Internet +, MOSO will make every effort to become a world-class new energy solution provider, contributing to global energy conservation and carbon reduction!